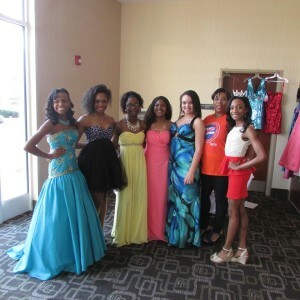 A Belle That Cares Outreach program is designed for young ladies K-12th grade. Oftentimes, young ladies feel discouraged to participate in memorable events such as homecoming, pageants or prom due to cost. We help to make their day priceless. In addition, we assist them with valuable and tangible resources and information to use in school and in life. Our team was there to enhance many young ladies before they stepped out to compete to become Miss Belle That Cares Anti-Bullying Ambassador. We congratulate the winner, Miss Jessica Foster!